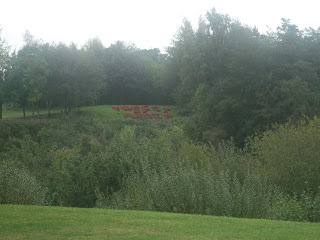 I've just arrived back from the Forest of Arden Hotel near Birmingham. This Marriott hotel played host to the Golf Monthly Centenary Finals over the famous Arden course. 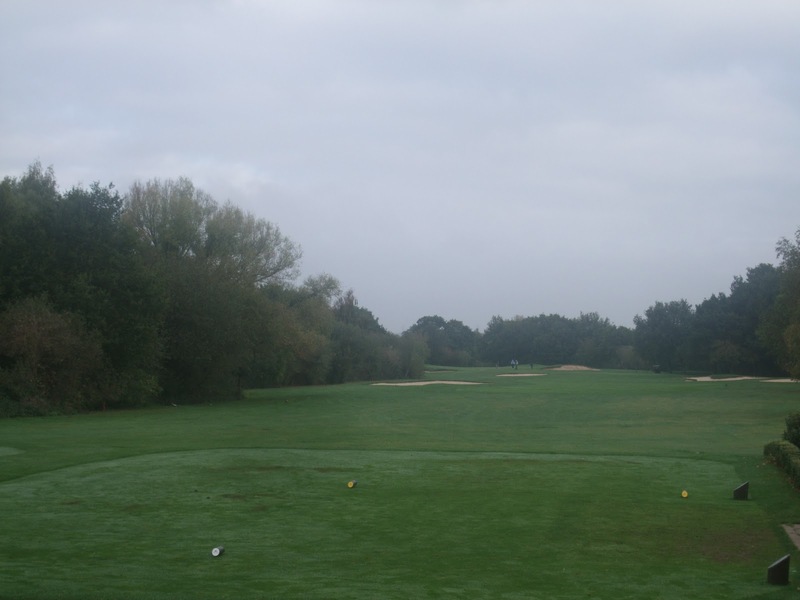 The course was designed by Donald Steel and is located on the grand Packington Estate. Many varieties of wildlife can be found within the boundaries of the club, and golfers have a very good chance of catching a glimpse of the friendly deer that live in the majestic countryside setting. The Forest of Arden has held numerous European Tour events, including the English Open and British Masters. The victory roster includes many of the world’s greatest golfers including Colin Montgomerie, Ian Woosnam, and Thomas Bjorn. The 6707 yard (off the white tees) par 72 course is a true test of golf, designed to make golfers play a wide range of shots. Its variety of water hazards and trees neatly outline the fairways, offering a thoroughly unforgettable golf experience. Twenty one competitors checked in on Wednesday night and enjoyed a few pre-match drinks with Mike Harris, Golf Monthly's Editor along with Jeremy Ellwood the Assistant Editor and equipment guru. There was the usual array of golfing tales and it gave a chance for players and their partners to mix and relax before the big event. There had been six regional qualifiers earlier in the year and regular blog followers may recall I was here courtesy of a win in my handicap division at St Pierre. The day itself dawned cloudy and dry if a little fresh but the strong winds that had been around all week had thankfully died down. Up on the range Golf Monthly had arranged for Cleveland, a co-sponsor of the event along with Marriott Hotels, to host an equipment demo and so the finalists had a chance to try out the latest clubs, including a state of the art launch monitor prior to going out. Once it was time for business it was down to the first tee for preliminary photos to be taken by the magazine snapper. From there it was onto the tee and game on. I was partnered with Mike Chapman (4 handicap) from East Dorset Golf and Country Club and Bill Martin from Ballyliffin in Ireland (9 handicap). The first hole on the Arden course is a 372 yard par four. It is quite a tight driving hole as the fairway is lined with large bunkers both left and right and with the pressure of a final and a photographer standing there to capture the opening drive for posterity it wass certainly a moment when the palms got a little sweaty and the mouth is that bit drier. 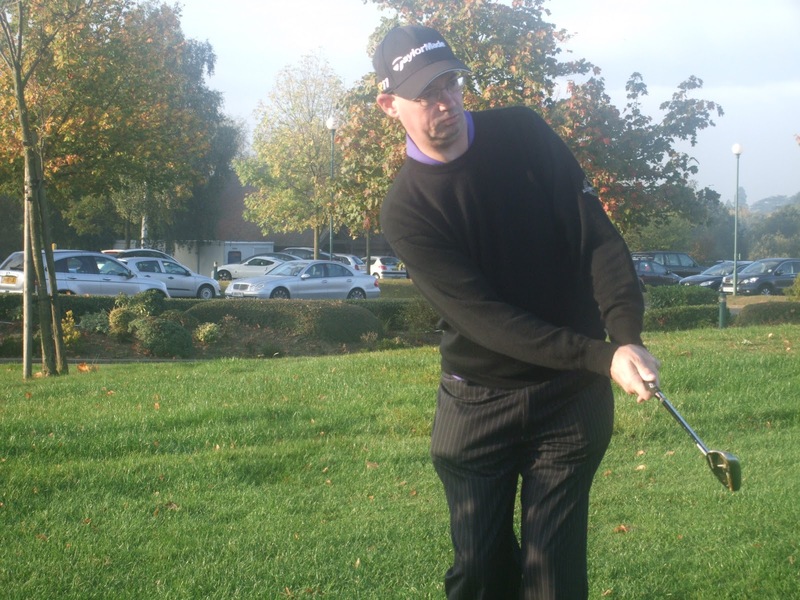 The opening hole - Pressure, what pressure? I managed to follow my partners down the middle and so all was looking good. Sadly it wasn't to last and my eight iron approach was too long and I was left with an awkward opening chip from the edge of a large depression. I got it out but three ugly putts meant I had failed to score. Not the ideal opening. I made a fortunate nett par on the next to get points on the board. I was striking the ball well and managed to claw back the lost shots from the first and by the time we got to the eighth hole was back level with my handicap. This hole is a par three of 155 yards but is all carry over water with no bale out area. It is a case of hitting the green or getting wet. I found terra firma but off the putting surface on the fringe but failed to get up and down to drop another shot. I was a little out of shape off the tee on the sharply dog-legged ninth and so played into position, hit the green and made another nett par to go out in a solid 17 points. This was matched by Mike who had played some glorious golf on the front nine and really showed why he was so low. Bill was just a point adrift after a bad ninth hole meant he had failed to score. The back nine on the Arden course turns towards the deer park. There are several large groups of deer roaming freely around the estate and on the course. It has a much more heathland feel to it and the holes are surrounded by ferns and it is more tree lined. I drove the ball well on both the 10th and the 11th but came up short both times. 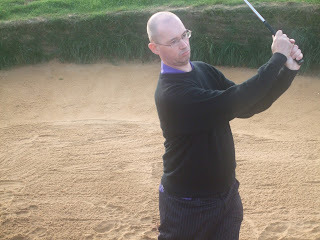 In each case I was a little unsure on club selection and never fully committed to the shot. Still a nett par on both did no damage to the scorecard. I made a solid par on the 12th but another three putt at the 428 yard 14th cost me a shot. The next hole is a long par 3 of 185 yards played from an elevated tee to a kidney shaped green that right to left as you view it. The flag was tucked away behind a large bunker and with only a ten foot landing area to aim at it wasn't one for attacking. We all found the green in similar positions but Bill and Mike showed their class by negotiating a slippery twenty five footer, downhill breaking right to left with ease. I on the other hand rushed the first one seven feet by and missed the return. I managed to get a shot back on the penultimate hole which is a short par five of just 487 yards. There is a large lake that cuts into the green from the right. I hit a good drive and had it been a social game I would have been tempted to go for it in two. Given the good round I had going a pragmatic approach was called for. I laid up and hit my third to ten feet. Bill had gone for it and was a similar distance away looking at an eagle putt. He missed, and missed the birdie putt back while I made my birdie. Slowly, slowly catchee monkey. The last hole is the signature hole on the course. It is 207 yards over water to a large green in front of the clubhouse. There is a little room to the right but the shot requires a carry of at least 180 yards. My birdie meant I had the honour. I pulled my trusty five wood and aimed at the right hand bunker hoping for my usual right to left shape. Instead I hit it well but too straight and it found the sand. Mike and Bill both found the green. I have to be honest blog reader and say I thought a four and two points for a nett par would give me a competitive score and match my tally from St Pierre. Perhaps I was thinking too much about what I needed to score as opposed to what I needed to do. The sand shot was a little too clean and ended up four feet over the side of the green. After we checked the cards, all three of us had tied with 34 points. In Mike's case that was testament to some tremendous golf around a very tricky course and it was a pleasure to watch a proper golfer at work. Bill had finished under a full canvass and parred the last five holes. There was a long wait ahead. We were only the second group out and so we were hanging around as the others came in and there was a decent meal to enjoy first. As others drifted in, it seemed 34 points was proving a hard number to beat but I'd have to wait for Mike Harris to formally announce the result. There were two divisions for the handicap section split 0-12 and 13 and over. Bill from my group pipped Mike into second place having scored eighteen points on the last nine holes to Mike's seventeen. And then it was my division. After a pause of X Factor proportions my name was called. I was a National Final winner. That just left the main prize and the trophy to be decided. Clearly Bill and I had tied on 34 points but who had won. We both knew we had eighteen points apiece coming home and so countback went to the final six holes. Despite my birdie on the 17th, those two three putts cost me on 14 and 15 and Bill scooped the trophy to take back to Ireland. Congratulations to him and well played. In the end it was a matter of a missed putt that cost me the ultimate prize but second place in the final of such a prestigious event as the Golf Monthly Centenary was beyond my wildest dreams. 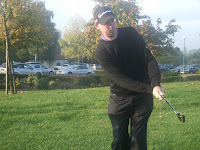 My form in the stableford last weekend or indeed playing the back nine of Royal Ascot on Tuesday with my mate Mike Stannard gave no indication that I would do so well. In the end I'd be lying if I said I was happy to come second and I am still looking at the errors I made around the green at the first and the lost shots scattered elsewhere but deep down the glass isn't just half full but brimming at the rim. I am chuffed and pleased that my wife was there to share my success after having to endure listening to me complain on a regular basis about how badly I had played or hit it down the range. It just shows that providing you keep the faith and belief in your game good things can happen. Many thanks to Mike and Golf Monthly for staging the event and to the Marriott for their hospitality on and off the course. Hopefully this will become a regular event albeit not a Centenary one and that I can make it back to the final next year. Who knows, maybe I can go that one step further.